To ensure the safety of a computer, we must ensure that no unauthorized programs are installed automatically without our permission. There are so many malicious programs which come with other genuine applications and get installed without user instruction. Windows has a feature called AppLocker which prevent the installation of third-party applications on Windows PC. However, to run this feature to prevent the installation of unwanted programs on Windows, we must enable application identity service. So the first step to activate the AppLocker on Windows, we must start application identity service. Once AppLocker is activated, you can prevent the installation of any potentially harmful software on your computer. 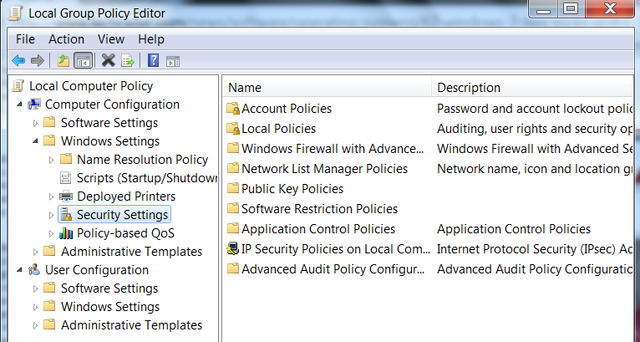 To use this feature you should go to group policy editor and set rules in AppLocker. This guide is divided into two. The first part explains how to start the Application Identification service from the services window. The second part explains how to enforce AppLocker from group policy editor. Now press enter, you can see the group policy editor on your computer. You can find Windows Settings under Local Computer Policy. 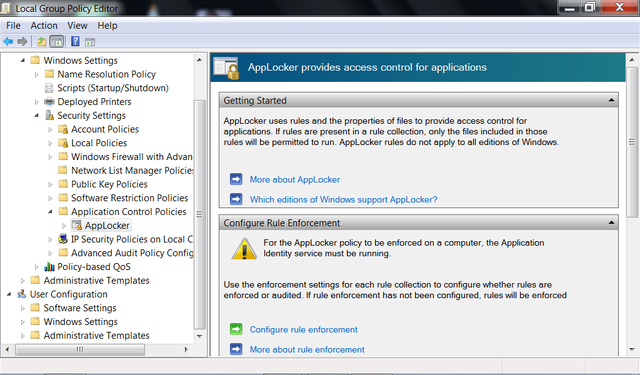 You can find AppLocker under Application Control Policies and click on it. Here you can configure the rules about the installing programs in your computer by clicking Configure Rule enforcement. AppLocker is available in all editions of Windows Server 2008 R2 and in Windows 8 Windows 7 Ultimate and Enterprise editions. You cannot find this facility on older Microsoft Operating Systems. Once this feature is enforced with right program installation rules, any programs which don't fall under allowed rules will be denied from getting installed. So it is important to learn how to configure this feature carefully. This Software Restriction Policies feature enforce rules with administrators control over OS Installer files, executable files, scripts, and DLLs.